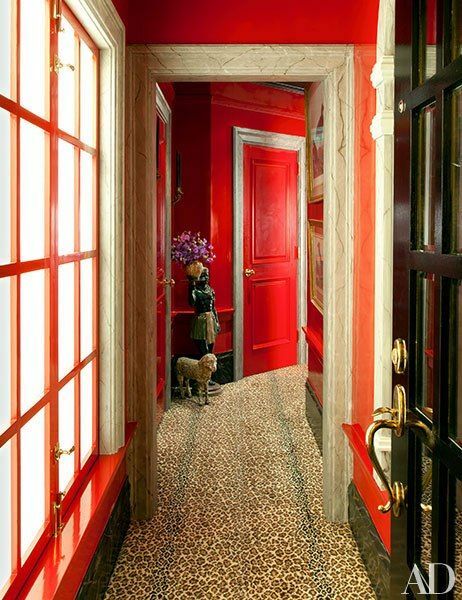 This entryway, with its walls, windows, and doors lacquered in Chinese red and leopard carpet would be the perfect introduction to a Chinoiserie filled apartment. 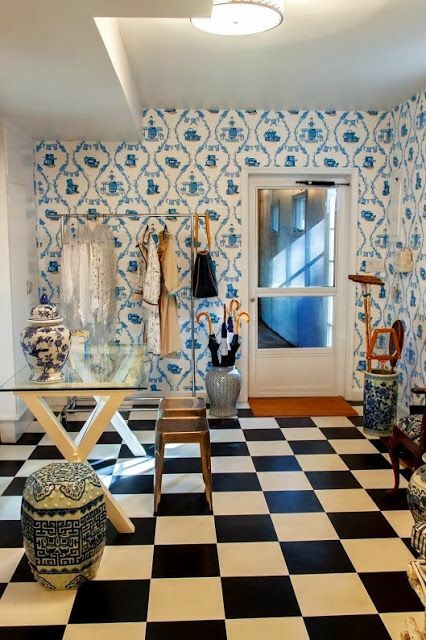 Note too the marbleized woodwork. And a big thank you to Tina from The Enchanted Home for including my laundry room in her post today. The red and brass is an amazing combo, not to mention the daring leopard! So dramatic...included your super chic laundry room in my post today...it fit in beautifully! His work is stunning! Love his use of red! Thomas Britt, genius with the use of color and from my Kansas City! It is definitely blog worthy!